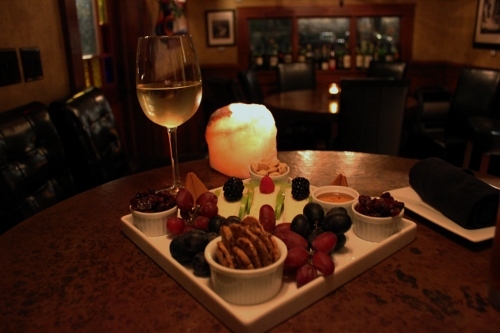 Nestled into the hillside along Main Street in Eureka Springs, The Stone House offers a dimly lit, intimate space to have a glass or two of wine and an extraordinary cheese platter. Ever since spending a cozy evening at The Stone House, I’ve been wondering why there isn’t something similar to this in every town. Now that I’m back in a larger city, I find myself without a cozy space to sit for a couple of hours with wine and a terrific selection of cheese, nuts and fruit. 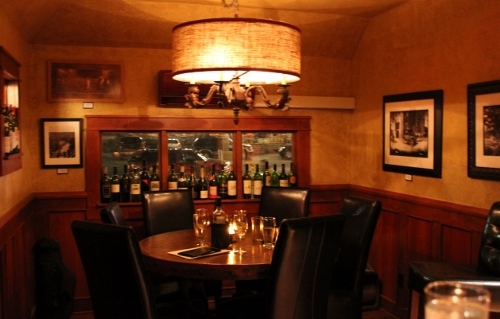 The concept is simple…yet so exceptionally well done at The Stone House. What first attracted me to The Stone House was this beautiful outdoor space. It’s so inviting! 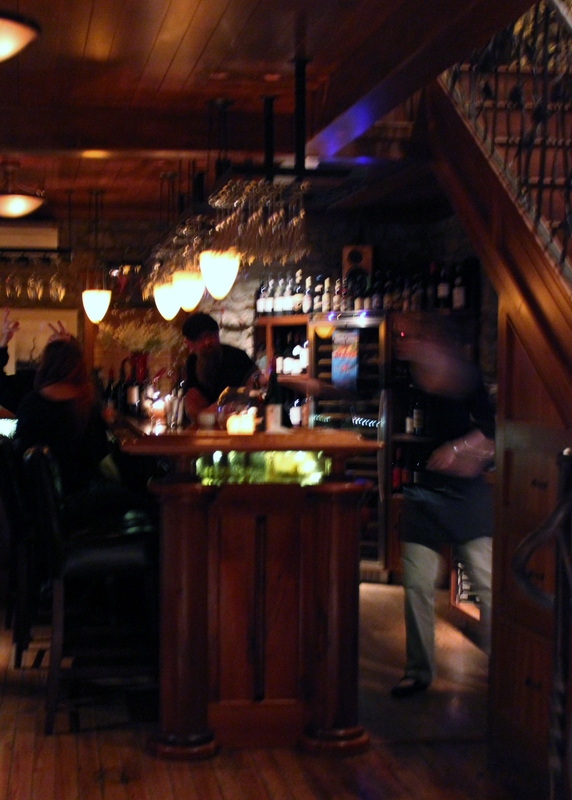 It was pretty chilly the night we dropped by, so we grabbed a spot inside the 1800’s stone building. The indoor space is exactly as I’ve described it above, cozy. I’m going to guess there is perhaps seating for 30 between the bar area and the side room where we grabbed a high top table. We listened to live music from Handmade Moments and perused the extensive wine and beer list. Wine and beer are the only spirits offered and the choices are plentiful. I ordered a glass of Heitz Napa Valley Chardonnay and my favorite fella had a Pinkus Pilsner. What I refer to as cheese platter, The Stone House calls “culinary plates.” They do certainly offer more than cheese, some of the plates including ham, salami, pesto, olives…Plates range from $17 to $47. 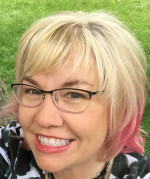 We shared the Brie Lovely–Cosmopolitan Style, which was $25. It included Ste. Andre Triple Cream Brie, Norwegian Gjetost Cheese, Sliced Green Apple with fresh lemon, Natural Sea Salt Roasted Almonds, Michigan Dried Cherries, Local Wildflower Honey and Oven Fresh Bread. When we ordered, I asked the server if she could please keep the bread separate from the plate, since I don’t eat gluten. She shared with me that they would gladly do that AND she would also bring out gluten-free crackers. Such a great surprise! The crackers were from Mary’s Gone Crackers and were perfect with the cheeses. Most Thursday evenings at home, my fella and I have our own version of wine and cheese night. It’s my once-a-week dairy indulgence. Try as I may, I am not as skilled as those at The Stone House in combining cheeses. The plate we shared was so well balanced in flavor and perfectly accompanied with just enough fruit and nuts plus a little drizzle of local honey. In all honesty, they had me with Gjetost, the rest was a bonus. I’m obsessed with Gjetost and feel obligated to exclaim, “Yay! Toast!” every time I see it. Ok, not really, but I do think it every time I see what can only be described as cheesy fudge. It was a nice dessert-like addition to the plate of cheese we shared. 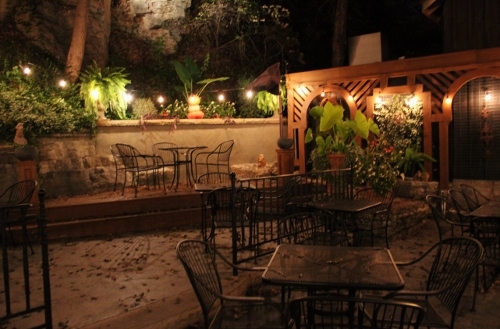 The Stone House is located at 89 South Main Street in Eureka Springs, Arkansas. 479.363.6411. There is on street parking, which fills quickly. There is a pay parking lot across the street. Anywhere you can park in the area is great, you won’t be without windows to browse while you walk to The Stone House. Eat With: Minimal caution. I found our server to be very aware of what could be done to make our cheese plate gluten-free. 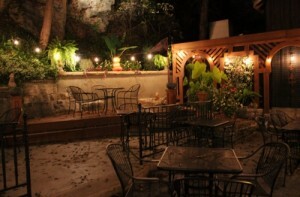 My husband and I love Eureka Springs, and have akso enjoyed eating there. We have not been there since going GF but it is a very progressive town and I bet a lot of the restaurants are knowledgeable about GF eating. Look forward to returning.